Almost all people are now using Facebook. It's a great platform where you can share almost anything - what you had for lunch, your latest #OOTD, your latest getaway. It's also a tool to reach out to long-lost friends, loved ones who are a thousand miles away. Some had even found the love of their life through Facebook! The use of Facebook does not only limit to sharing a part of you. Current businesses are now utilizing this social media to promote their products and reach out to their target market. If you are a budding businessman and want to have a successful business, below are some of the tips that you can apply to optimize the use of your Facebook Page. Following are some of the effective Top Six Best Facebook Page Optimization Tips which will help you to Drive Massive Traffic to Your Website or Blog for Free. Choosing the title name for your Facebook Page is very critical. It's like picking a new tattoo; it has to be of significance since it will stay on your skin forever unless you have to remove it through laser which is a very painful experience. Your page's name is one of the few things followers see when they visit your page. It's also what appears when someone suggests your page. How do you pick the right name for your page? Select a name that is short and timeless. Your page may still be there after a few years. Most people won’t take time reading if your title page is too long. Keep in mind that once you have created a name of your page, you won't be able to change it anymore. Unless you would want to create another page with your new desired name, then you would have to ask your current followers to transfer to your new Facebook Page which will be sort of a hassle for them. Your Facebook Page Profile should be your portfolio. It should create a positive impression for your followers. You would keep your followers entertained and entice new ones if your profile is completed and contains interesting information. In setting up your profile, complete all the available fields. Spice up your profile page a little bit. You can use applications that will add interesting links to your page. For example, you can add funny videos or related blog posts on your page. If you want to know how to make a blog, there are a lot of blog tools and applications that can help starters. Gain more traffic and followers by keeping your profile up to date. Create posts of the latest trends to keep the interests of your followers. When there are important things that we don't want to forget, some of us write it on a piece of paper and pin it on our station wall. Facebook has also the same feature. You now have the option to pin your important posts at the top of your page. This feature allows you to prioritize your posts for your followers to see first - such as giveaways, special events and promo deals for followers, FAQ's, and even the latest product feature. How to pin your posts? Look for the post that you like to pin and press the pencil icon that is located at the upper right portion of your post. An orange flag at the upper right corner of your post indicates that it's already pinned. When you have multiple tabs on your Facebook Page, organizing them is important. Rearrange them in a manner of its importance. Only 2 tabs appear under your cover photo and they are displayed as text links. The rest of your apps will be accessible when your visitors click on the “More” link at the top right of your page. The 2 tabs that are visible under your cover photo should be the most important ones – something that would get you more sales or leads. Managing your tabs is quite easy. Click “More” and select “Manage Tabs” at the bottom of the pop-up menu. Click and drag your 2 best apps, followed by the 3rd one that you want to display with the tab thumbnails. Call-to-action button is a new feature of Facebook and its main objective is to help pages drive business objectives. Not only is this new feature helpful, but it is also free. Click the +Add a Button at the cover photo of your page. Choose what type of call-to-action you want to add and enter your website’s URL. Keep in mind though that since this feature is pretty new, this may not be available to everyone yet. One of the first few places that your followers visit on your page when they want to know more information about your business is your “About Us” section. Optimize the use of this section to entice new followers by emphasizing the services that you may provide and the benefits of your products. You can also use this section to drive traffic to your website. To do this, simply click on your “About” section then enter your website into the website address that can be found at the bottom of the page. 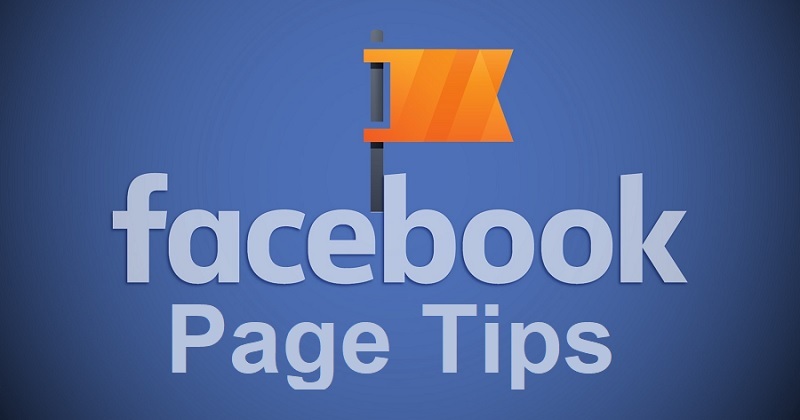 Visitors who drop by on your Facebook Page will also get to visit your website. Applying these smart tips will not only make your Facebook Page more visible, it will also provide a positive user-experience which are crucial for the success of your business.